Illustrated. Marshall B. Gardner, a hollow-earth proponent, attempts to come up with a scientific hypothesis to explain the formation of hollow planets. A very readable book. One of the most enjoyable parts of which is Gardner's fantasy account of a journey into the interior of the hollow earth, which, while not up to the standards of Jules Verne, seems almost plausible. 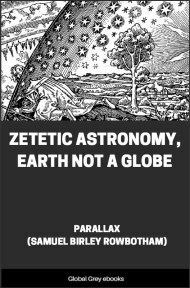 There is one man who has stated that the earth is an immense hollow sphere and that mankind and the land and oceans and even the stars are all on the inside of it. But he is a crank for he has simply taken his private notion, evolved within his own brain and has made a religion of it. We beg the reader that he will not confuse us with any of that sort of theorizing. If the reader says, "You believe in a hollow earth--oh yes, that is what Koresh taught," he is doing us a grave injustice, even though it be true that we claim the earth to be hollow. 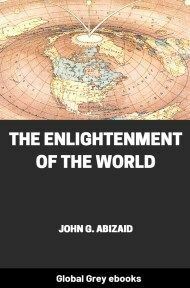 It will also be an injustice to us if the reader confuse our idea of a hollow earth as presented in this book with one or two theories which have been put out in the past and which only bear a superficial relation to ours. 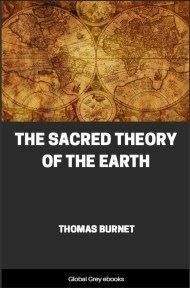 For instance, nearly one hundred years ago in America a theory was put forth that the earth consisted of a number of concentric spheres one within the other. Now that could hardly be called a scientific theory. It was based on a supposition, and the author argued from his supposition down to what the facts ought to be. He said in effect, "According to my principle there ought to be within the earth a series of spheres each one inside the other". But he did not know, and he never went down to see. We take the opposite course. We begin with the facts. We claim that the earth is a hollow body with an immense opening at each polar axis--an opening about fourteen hundred miles in diameter and that there is in the interior of the earth a sun which warms it and gives it light. But we do not say this in the first place and then say that it follows that there is warmth in the polar regions where the scientist has told us it is cold. On the contrary what we do is quote every Arctic explorer from the fishermen of a hundred years ago to Franklin, Kane, Nansen and Peary, to the effect that there is warmth at the polar extremities of the earth. We state that this formation of a hollow shell around a central sun, with polar openings, is not alone the formation of the earth but of every planetary body throughout the stellar universe. Why do we say that? Because we think it ought to be? Because we wish to impose our own idea on to the facts? No, but because we can see those polar openings and occasionally the gleam of that central sun as we look at Mars or Venus through a telescope. And so it goes. In every assertion we make, we first gather up all the available facts, and the theory of which we write is not so much a theory that we put forth as it is a theory which the facts put forth to us when we examined them. We did not set out with our theory full blown. 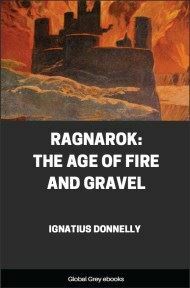 We set out with a great desire to understand the facts of astronomy and of the earth's formation. We had read this and that about it and were struck by the uncertainty of what we had read. We asked ourselves whether, if we knew all the facts, we would still be puzzled, as we were, by accounts of warm currents flowing from the North Pole and other contradictions of accepted science. Having asked ourselves that, we set out to ascertain all the facts that had any bearing on the case, just as the Wright brothers set out to ascertain all the facts that would bear on their problem. And it was the facts in the case, the inexorable and unalterable facts, that made our theory for us. So we ask any reader, especially any scientific reader, who does not believe our theory upon reading this book, not merely to make fun of it, not merely to deny its possibility, but to produce facts which will prove it wrong, and then--supposing he can do that which we doubt--to explain all the facts put forth in this book, to explain all of them, we say, by the light of any other theory. It might be easy enough to explain one or two of our facts in some other way. But to explain them all is impossible on any other theory than ours. That the reader may get our theory in a nutshell, that he may comprehend before he undertakes to read the whole book how widely we have searched for the material of our foundation we shall briefly recapitulate here the main outlines of our theory. As already stated we hold that the earth is neither solid nor fluid inside but that it is a hollow shell of a thickness which, provisionally, we should estimate to be 800 miles, with an opening at each polar extremity of approximately fourteen hundred miles across. The interior sun which warms this inner earth may possibly be 600 miles in diameter, although we have of course no means of actually measuring it as yet. Why do we postulate such a sun? The answer is the key to our whole theory. 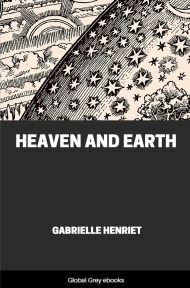 As the reader may know, the orthodox astronomer explains the evolution of this earth by saying that the earth, the other planets which revolve around its sun and that sun itself were all once intermingled gas in a white-hot or incandescent condition, whirling around at an enormous rate. As this mass whirled it gradually became a vast spiral owing to the play of centrifugal forces pushing it away from its center or nucleus and gravitational forces holding it within the influence of that center. This went on, according to the scientists, until the gas arranged itself in a series of concentric rings around that center. Then each ring broke and formed into a sphere which gradually cooled off until it liquefied and then solidified on the outside, forming a planet while the central nucleus became a sun. This is known as the nebular hypothesis of the evolution of the solar system. But for many reasons, which will be taken up in detail later, our observations lead us to put forth a different theory. Briefly our theory is that the original nebula did not break up into a solar system but condensed into one planet.